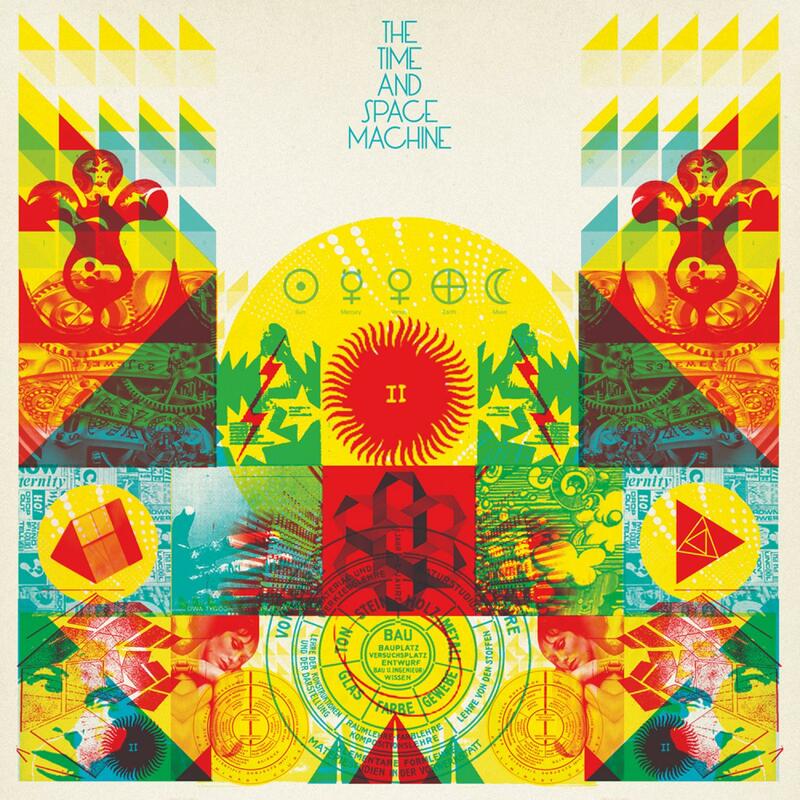 The Time And Space Machine was conceived in 2008 as a sound that solidifies Richard Norris' decades of collecting, releasing and writing about psychedelic music. Richard's journey into psych began as a teenager when he worked for the legendary UK psych label Bam Caruso, who released dozens of psychedelic and freakbeat compilations. This record (largely done for the first time by himself beneath a castle in Lewes, Sussex) meshes all these influences with modern production techniques to create something new - and in our opinion - very special. In partnership with Erol Alkan as Beyond The Wizard's Sleeve, Richard has firmly cemented his position in the Psyche-scape. Their series of re-edit 12" mini albums were not only instantly snapped up in stores but also led to a series of high profile remixes for artists such as Chemical Brothers, Goldfrapp, Franz Ferdinand and more. On to the music.. Proceedings open up with 'Time and Space' the perfect atmospheric place for launch. 'Path Through The Cathedral' carries on the assault with ringing Cathedral organ, tremelo-ed fuzz tone and backwards guitars. 'Set Phazer To Stun' displays the first hint of a Krautrock influences, nicely melded with some dirt cheap Farfisa organ, freakbeat drumming and (of course) plenty of Phazer. 'More Cowbell' is one for the dancefloor. Fuzzed out bass and the sound of a cowbell that sounds like it's still attached to the cow on some hill in Switzerland. Richard tells us Influenced by the famous Saturday Night Live 'More Cowbell' sketch with Christopher Walken. 'Midsummer Night' is the result of a 4am midsummer glowing campfire moment. 'Mushroom Family' ticks the Balearic boxes with a hint of sitar and flute, plus Rachael Davies' soaring harmonies. 'After The Gold Rush' is a Neil Young cover and features Raissa from The Mummers on vocals, some Memphis Horns and a hint of balearia once again. Things round off with one final dose of psychedelica, the organic 'Trip Sideways'. The Time and Space Machine will be touring this summer so keep your eyes open, and -as ever- watch the skies. Produced by Richard Norris in Lewes and London, England. 'After The Goldrush' (Neil Young, Warner Bros Music). Thanks to Sarah, Ella, Luke, Will, Rachel, Raissa, Kieran, Richard, Kim, all at Tirk and everyone else, especially you. Watch the skies.